Product prices and availability are accurate as of 2019-04-23 11:44:35 UTC and are subject to change. Any price and availability information displayed on http://www.amazon.co.uk/ at the time of purchase will apply to the purchase of this product. This LED Night Light Speaker Touch Lamp is made up of Durable ABS plastic and silicon material which is successfully resistant versus impact and damage. Created to compliment almost any decor, this multipurpose wireless table lamp will boost and compliment any area you place it. Touching adjustable brightness controls for the LED lamp, 4-level brightness and vibrant lighting altering mode. Practical Functions: You can easily connect to the speaker via Bluetooth or simply insert a TF card to play music or audio books. The built-in MIC also allows you to picking up phone calls hands free. This portable speaker features a USB port to recharge the built-in battery. 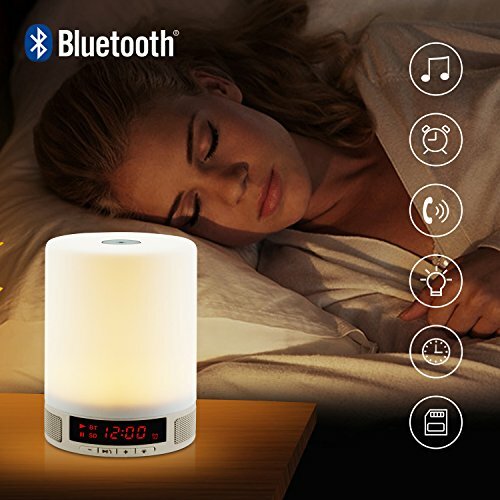 Function & Selling Point: - Bluetooth Speaker (BT 4.0) - LED Lamp (4 brightness level and one RGB level) (7 multiple colours) (adjust the brightness grade by touch the top) - Alarm Clock with Wake Up Light - Time Display Led Screen - Sleep Mode (Light and speaker off after 20 minutes once sleep mode activated) - Hands Free Speakerphone - TF Card Music Playing It's a lamp! It's a wireless speaker! It's an music player!It's all of this in one amazing unit! This stylish LED lamp combines many popular devices into a single handy unit. Reduce clutter on your desk with this Bluetooth enabled device that can stream music from your phone or other devices. Designed to compliment nearly any decor, this multipurpose wireless table lamp will enhance and compliment any location you place it. 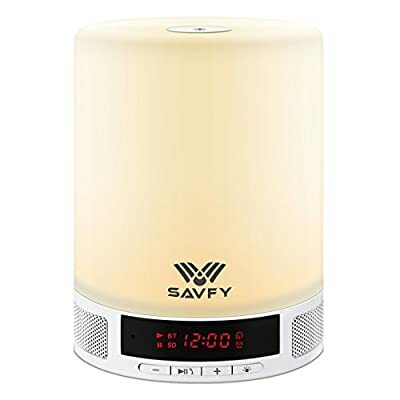 Features a USB port to recharge the built-in battery, a micro SD card slot for loading MP3's, touch adjustable brightness controls for the LED lamp, this Bluetooth speaker is ideal for use with any phone or tablet. 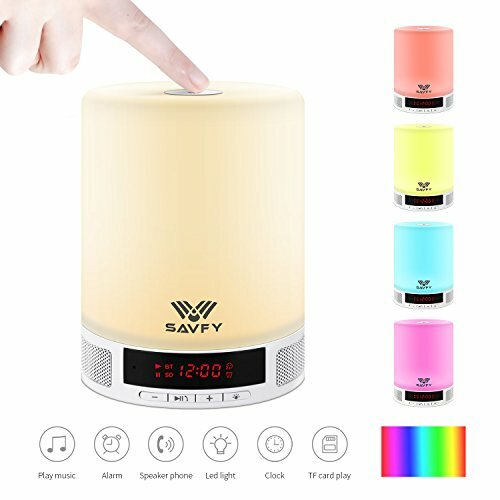 Listening to audio books in the bedroom at night, or playing music while cooking, this product will go everywhere with you, and literally brighten your day! 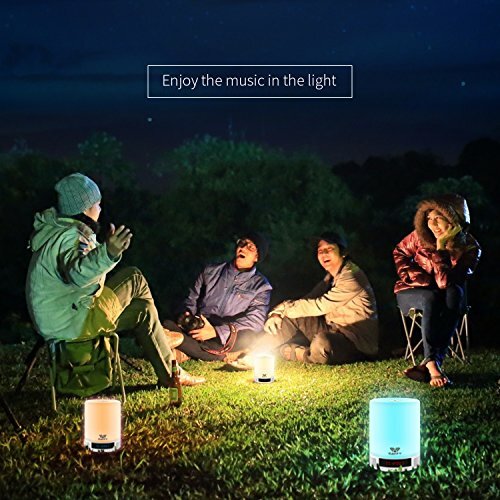 Solid and Stylish Design: This LED Night Light Speaker Touch Lamp is made up of Durable ABS plastic and silicon material which is effectively resistant against impact and breakage. Designed to compliment nearly any decor, this multipurpose wireless table lamp will enhance and compliment any location you place it. Perfect gift option for any occasions.